We will start taking registration at 7:30 am on June 9th, 2017. We will accept completed registration forms and daily schedules both online and in person at that time. All requests will be time-stamped and processed in the order received. No payment will be accepted at this time but we will call by June 14th with your successful registration and amount due. **Please note the changes for this year: Online AND in-person registration accepted on June 9th. 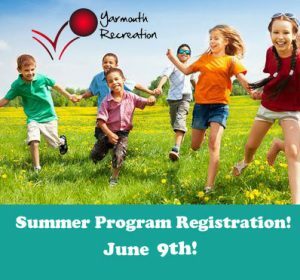 A link to registration will go live at 7:30 at www.yarmouthrecreation.ca. Doors will open at 7:30 at 932 Hwy #1 Hebron – back entrance. Please have your completed forms with you. Hi there …is it too late to register a 4.5 yr old for soccer ?